Rockstar says that Take-Two dropped the hammer on OpenIV because it was enabling malicious mods for GTA Online. Popular Grand Theft Auto modding tool OpenIV was recently shut down due to a cease and desist from Take-Two. Now GTA developer Rockstar has spoken out on the matter, and says that the decision was made because OpenIV was enabling "malicious mods" for GTA Online. 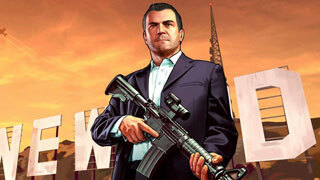 "Take-Two's actions were not specifically targeting single player mods. Unfortunately OpenIV enables recent malicious mods that allow harassment of players and interfere with the GTA Online experience for everybody. We are working to figure out how we can continue to support the creative community without negatively impacting our players"
Obviously, this leaves some question as to what the future of GTA modding will look like, but Rockstar has yet to clarify or expand on what sort of plans it may have. If you already have OpenIV it seems to still be working. If you don't already have it, it is no longer downloadable from its website. If Rockstar clarifies any further, we'll let you know.